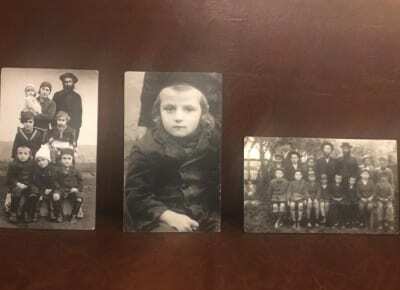 A survivor’s tragic story, retold in Auschwitz-Birkenau, the inspirational memory of doctor Gisella Perl and the work of a reproductive specialist have all come together to create a remarkable campaign launched this week — Life For A Life…writes Jenni Frazer. It is a fundraising campaign designed to help young Jewish couples around the world who have been unable to have children, with money going to fertility clinics in six leading cities — London, Johannesburg, Melbourne, Montreal, New York and Toronto, together with two clinics in Israel. The campaign has been launched by the British heritage organisation, JRoots, which runs heritage and education tours. 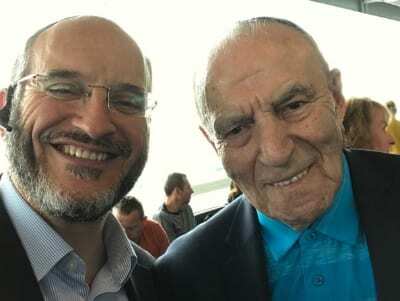 In June, Rabbi Naftali Schiff, the founder and executive director of the Jewish Futures Trust, an umbrella body to which JRoots belongs, accompanied Southend-based Holocaust survivor Leslie Kleinman, 89, to Auschwitz. Kleinman was speaking about his experiences to a JRoots group from South Africa, which included fertility expert Dr Lawrence Gobetz. The group heard Kleinman’s personal story — all seven of his siblings died in the Holocaust — and also the story of Gisella Perl, a Jewish doctor forced to work under Josef Mengele and terminate the pregnancies of Jewish women in the camps. Dr Perl survived and practiced as a gynaecologist in New York before moving to Israel, where she died in 1988. She undertook her post-Holocaust life’s work with the mantra “life for a life”, seeing it as her mission to help those suffering from infertility. Rabbi Schiff said: “We were standing outside Block 10, the experimentation block, while the group heard these two stories. Dr Gobetz said he worked with young Jewish couples in South Africa in just this field, helping them to have children”. So far, 170 babies have been born in South Africa as a result of financial support given by the Malka Ella Fertility Fund, a local charity. Rabbi Schiff suggested that in the name of Kleinman’s lost seven siblings, there should be a campaign which “commits to life”. He contacted a number of fertility clinics when he returned to London and found the average cost of treatment was around £18,000 per live birth. “We decided to launch this campaign under the auspices of JRoots, where we are trying to raise seven times £18,000 for these Jewish fertility charities”. Dr Gobetz, speaking from Johannesburg, said: “This issue is solely to do with helping young Jewish couples. It is the symbolism of taking inspiration from Leslie Kleinman’s and Gisella Perl’s stories, and bringing new life into the world”. So far two lots of £18,000 have been raised for Jewish fertility charities in South Africa and Australia. Money raised from the UK will go towards Chana, the campaign’s fertility charity partner in Britain.